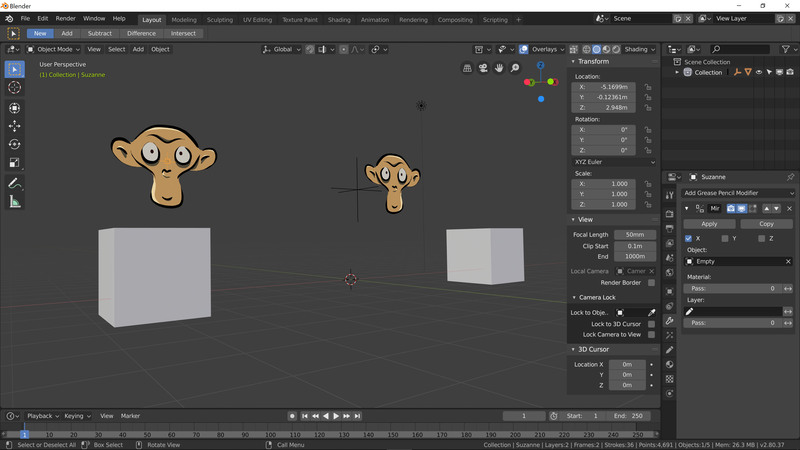 Using the mirror modifier with a regular empty (plain axes) as the mirror object over x axis doesn't use the empty as the mirror plane. Also when pressing N in the dope sheet an empty window opens on the right. 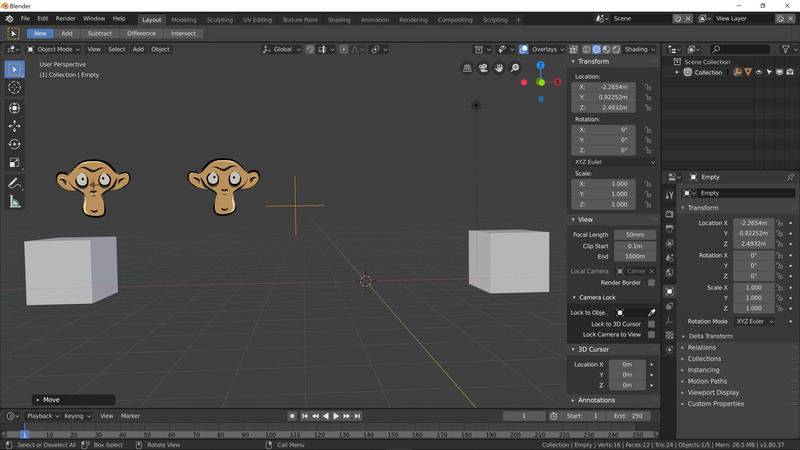 Create grease pencil object, add empty, use mirror modifier and set the empty as the mirror object, move empty and/or grease pencil object. Use empty as mirror object. The objects are mirrored over the same empty. Antonio Vazquez (antoniov) added a commit: rBea33b90a1bf2: Fix T59446: Grease pencil mirror modifier wrong. Still got an issue here; translation now works as expected but rotation doesn't mirror. We never added support for rotation to this modifier. 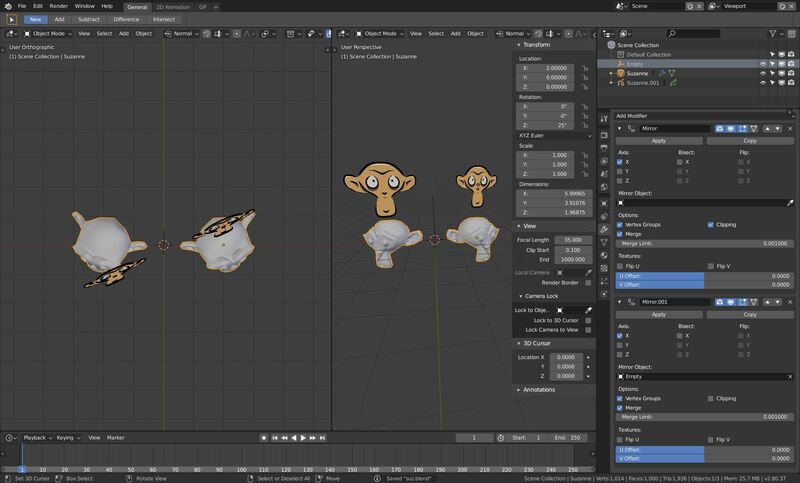 Grease Pencil modifiers are not necessary equal to mesh modifiers so we haven't replicated all features. As this is a feature request, I take note but keep close the report because the reported bug was fixed.